Mr. Wogan’s legal achievements and experience are in matters involving business law, real estate, banking and finance, and trusts and estates. He represents local, national and international banking institutions in bank regulatory, financing and trust matters. Additionally, he counsels financial institutions and borrowers in industrial and commercial project financings. These include several major industrial lease financing transactions, numerous securitized lending transactions and tax-exempt bond financings. In commercial trust matters for regional and national banks, Mr. Wogan possesses years of experience advising on corporate and personal trust matters, both in regulatory and fiduciary laws. His background also includes representing bank trust divisions in fiduciary matters in state and federal courts. Advising individuals on complex estates and trusts is also part of Mr. Wogan’s practice. He is experienced in the administration, mediation, litigation and settlement of contested trust and estate matters. He has represented clients successfully in connection with tax rulings and tax settlements involving estates and trusts. Mr. Wogan’s real estate background includes representing both landlords and tenants in office, industrial and commercial leasing. Among his clients are real estate investment trusts, institutional investors, corporations and individuals involved in the acquisition and sale of shopping centers, office buildings, apartment developments and industrial properties. Mr. Wogan’s corporate law practice includes his counsel to a major healthcare provider in a significant corporate reorganization. He has also built an extensive practice offering corporate governance advice to commercial and nonprofit corporations. Prior to concentrating his practice in corporate and transactional cases, he served as trial counsel in the litigation of commercial, trust and estate, and local tax matters. During this time, he obtained victories at the Louisiana and United States Supreme Court levels in a major sales and use tax case involving a large industrial construction contractor. An active member of the legal community, Mr. Wogan was selected to Best Lawyers in America and Chambers USA, America’s Best Lawyers for Business in corporate and finance. Mr. Wogan has served on the Louisiana Law Institute Committee to revise the Louisiana Civil Code articles on the law of lease, taught a course in legal writing at Loyola University, and has addressed seminars sponsored by Tulane University and Louisiana State University. He has volunteered his legal assistance to several nonprofit organizations, advising them on corporate and real estate issues. After graduating from law school, Mr. Wogan served on active duty with the U.S. Army Reserve as a Transportation Corps Officer from 1966-68. 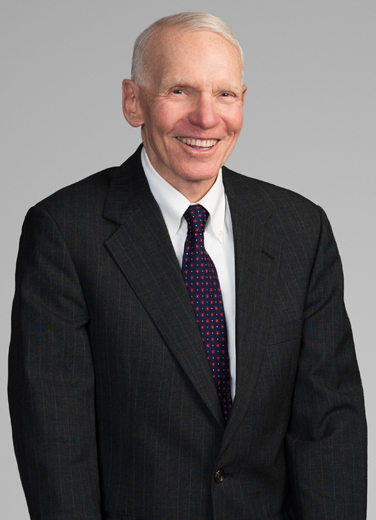 Prior to joining Liskow & Lewis, he practiced with the firm of Monroe & Lemann from 1968-1998, serving as a member of the board and president of that firm. New Orleans "Best Lawyers 2011 Banking Lawyer of the Year"
Speaker on estate planning and trusts at Tulane, Louisiana State University and Loyola annual estate planning seminars.